Hamburg have appointed former defender Bernd Hollerbach as head coach, a day after dismissing Markus Gisdol. Gisdol was relieved of his duties on the back of a four-match losing run, which has seen the Red Shorts slip to within three points of bottom side Cologne, who won 2-0 at HSV's Volksparkstadion on Matchday 19. Hollerbach will be officially unveiled at a press conference in Hamburg later today. Hollerbach, 48, represented Hamburg for eight years as a player (1996-2004), before turning his hand to coaching. He was assistant to Felix Magath at Wolfsburg during the Wolves' 2008/09 Bundesliga title triumph, and again at Schalke (2009-2011). 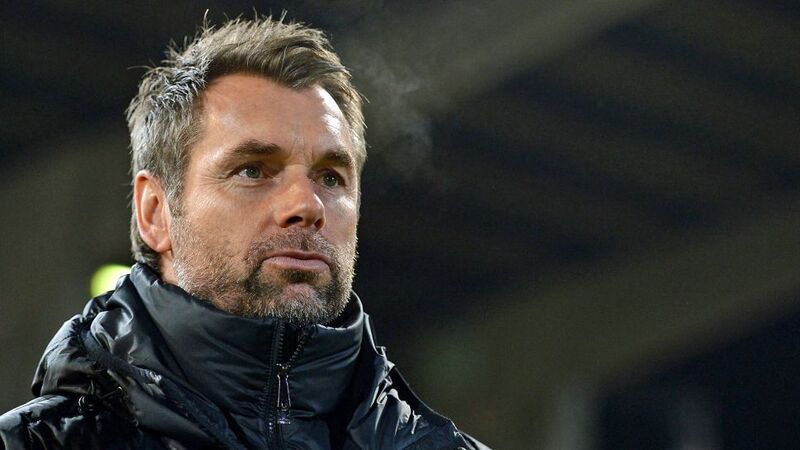 As a head coach, Hollerbach spent three years in charge of Würzburger Kickers, steering the Bavarian outfit from the fourth tier of German football to Bundesliga 2. He was dismissed after the club were relegated to the Third Division at the end of 2016/17, however. Hollersbach will oversee first-team training at Hamburg for the first time on Monday afternoon, in preparation for Saturday's trip to 2016/17 Bundesliga runners-up RB Leipzig. HSV - currently 17th in the 18-team Bundesliga after 19 matches - are without a win in their last six top-flight matches. They are the only founding Bundesliga member never to have been relegated.